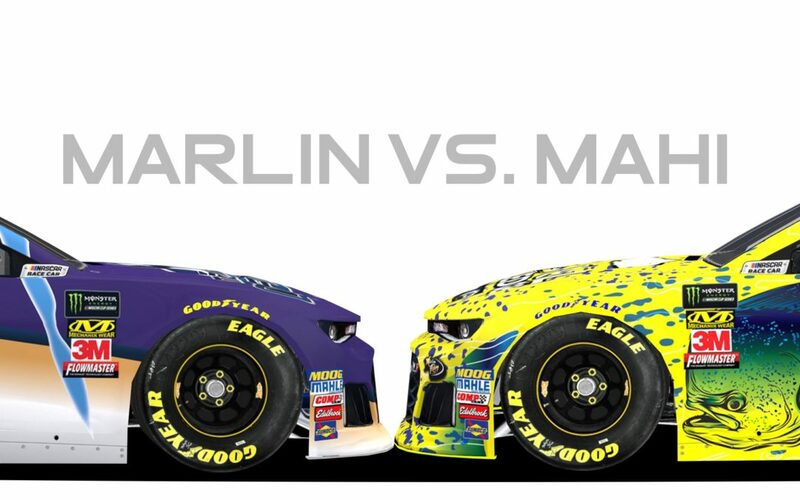 (Salisbury, NC 11/9/2018)— StarCom Racing anchors down new partners for the Ford EcoBoost 400 at Miami- Homestead Speedway with Landon Cassill as Captain of the Local Knowledge 00 Chevy and Kyle Weatherman at the helm of the International Marine 99 Chevy. With the perseverance and enthusiasm of our First Mate David Ducharme of Superior Essex, SCR’s team associate sponsor, this partnership was able to set sail. Local Knowledge, a fishing documentary hosted by Ali Hussainy and Rush Maltz which airs on the Discovery Channel, explores the culture of fishing while focuses on the differing and often humorous viewpoints of its two hosts that dedicate their lives to fishing and the outdoors. International Marine built its reputation on trust, reliability and above all, quality of work. International Marine has taken the guess work out of who to choose for your boat maintenance needs and offers a one stop shop for everything from: Electronics installation, Suzuki outboard service and repowers, JL audio system design and installation, boat detailing, and much more. International Marine, South Florida’s leading boat maintenance operation is based out of our Boynton Beach Facility, we serve the entire state of Florida, and offer boat equipment sales nationwide. maintenance company that simply does it without compromise. StarCom Racing, a Monster Energy NASCAR Cup Series Team, based in North Carolina was launched in September 2017 and hit the track twice before the 2017 season ended. SCR acquired a Charter and will run a full schedule for 2018. SCR was formed by a collective group of seasoned NASCAR specialists, as well as successful business entrepreneurs from SCR’s parent company, StarCom Fiber. For any sponsorship opportunities, please reach out directly to our Marketing Director, Elyshia Cope at ecope@starcomracing.com.